Does Aries fill you with excitement or do you quake in the thought of what havoc might ensue? Aries is no-holds barred, rev your engines, and do or die. It’s jump in both feet, preferably in red shoes, or get out of the way. It’s fast and it’s furious and there’s no time to stand around gawking. 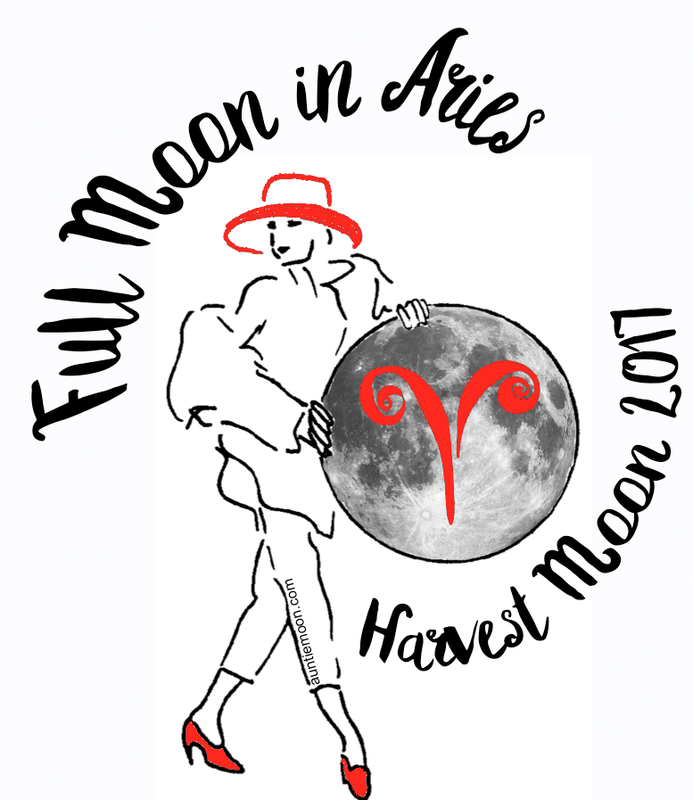 It seems sort of lucky to me that this year’s Harvest Moon is in Aries. It sends a signal that it’s not time to quit, not time to settle in just yet. There’s more to do. Wherever that extra bright, big ol’ Harvest Moon is lighting up your chart is where you can find some action the next couple of weeks. Take a look at your chart. What can benefit in your Aries house from some fast and furious action? Here’s something to keep in mind with Aries, no matter whether the Moon is New, Full or somewhere in between. It needs that action you’re inspired to take. Feel like making that last ditch effort? Make it. Who knows? Your harvest might be just a little bit bigger.